Get Real! Get Talking and Get Results! Julienne Ryan gets her audience laughing, listening and interacting as they learn how to use their stories to communicate and connect on an authentic level. Her motto is "Keep if Real! Get Results!" Her keynotes, breakouts, training and facilitation programs focus on: the world of work, careers, team building, inclusion, interpersonal and digital communication, and collaboration, relationships, change, and life milestones. Why should you book Julienne Ryan? Julienne Ryan is a presenter who will undoubtedly engage, stimulate and provoke thought and laughter. She manages to strike the perfect balance when pivoting between serious and humorous moments, keeping the session light, airy, and inspirational. Julienne has a unique way of engaging diverse audiences and facilitating interactions and group conversations. Julienne doesn't just talk the talk- she walks the walk- and in a way that makes you want to jump in right alongside her. Always exhibiting a great sense of humor, her energy is tireless, enthusiasm infectious and effectiveness bar none. 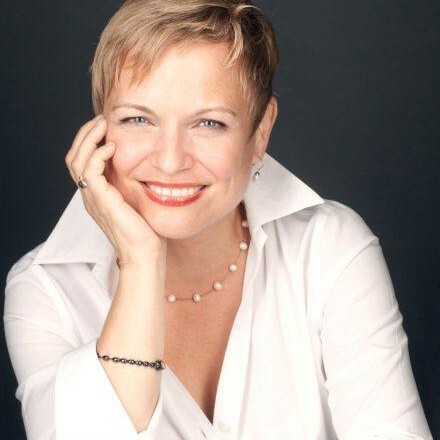 Julienne Ryan has extensive expertise in the edu-entertainment, community building, team building and facilitation. In addition to providing high-quality talent for your event, she works as a partner with each client to customize the presentation to fit your event's goal and target audience. Presentations and interactions can be of any scale and duration, and each is carefully designed to meet the expectations and needs of the client. Available nationally and worldwide. Ryan started her professional career at age five when she did TV commercial and learned important things like "the teamsters always eat first." her social security number and how to endorse checks for bank deposit. She worked in Human Resources, was a school administrator and teacher, and has been married for decades. These roles required a lot of humor, insight, patience and resilience! Ryan studied psychology in college because she wanted to understand humans. She conducted her “field work” in a variety of roles, hearing the phrases “merger synergies, reorganizations, downsizing and rightsizing for change” more times than she cares to mention. Later she enrolled in an Ivy League graduate school where she paid oodles of money to validate her prior on-the-job learning experiences. However, she did learn to name drop up-to-date theories and trendy psychologists with alarming ease. Ryan evolved into working in “Talent Management,” a fancy way of saying “try to find people and keep them moderately happy.” With inadequate budgets and staff allocations, she had to find creative ways to encourage her staff to work effectively. These ranged from begging and borrowing resources, improvising childcare, telling stories and even giving snacks as rewards. She tried to convince herself that working a bazillion hours and “multi-tasking” equaled achievement. Yes, she was effective. But not because she used fancy theories - or gave great snacks. Ryan’s success, her staff believed, was a result of her uncanny knack for weaving storytelling with humor to motivate and encourage them. Crucially, they encouraged Ryan to de-emphasize “that normal HR stuff” and focus on bringing her unique storytelling skills to a broader stage. Thanks to them, Ryan continues to collect, connect and tell stories in her work helping people find their “true, productive selves in the world of work.” ? For starters, Julienne is a native New Yorker. She was born in Brooklyn, raised in Queens, lived in Manhattan and the Bronx and has visited Staten Island on occasion. She's been married for decades, been a teacher and a school administrator. Add her work with Human Resources and you know that she is one patient and resilient woman! ? ? ? ? ? ? ? ? ? ? ? ? ? Ryan's Pedigree ? ? ? ? ? ? ? ? ? ? ? ? ? ? ? ? ? ? ? ? ? ? ? ? ? ? ? ? ? ? ? ? ? ? ? ? ? ? ? ? ? ? ? ? ? ? ? ? ? ?? ? ? ? ?? ? ? ? ? ? ? ? ? ? ? ? ? ? ? ? ? ? ? ? ? ? ? ? ? ? ? ? ? ? Ryan’s industry pedigree is varied — non-profits, small businesses and academic institutions with assignments responsible for supporting organizational development, as well as change and transition. Her background includes positions with Fortune 500 hundred companies including Avon, American Express, Guinness United Distiller & Vintners, a division of DIAGEO, and Con Edison. She has a left positive imprint with various cross-cultural groups by developing multi-leveled training for members throughout the organization. Focus areas include: career and performance management, personal development, and employee selection. Find out more about Julienne Ryan at http://jryanpartners.com.